Once you have purchased the 2015 MBAA Annual Conference Online Proceedings, click here for access. 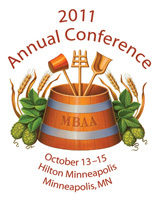 Gain access to the best research from the 2015 MBAA Annual Conference! The Online Proceedings include over 70 presentations from the meeting held in to Jacksonville, FL, October 8­–10, 2015. Oral presentations include the author’s full slide show complete with graphics, and posters can be magnified to focus on specific figures, images, tables, and graphs. Interested in the recorded presentations? Not an MBAA member? 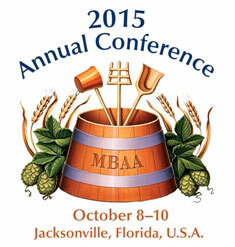 Join MBAA first, then you receive the 2015 proceedings at no charge. Purchase is required to access presentations. 1. Warm beer filling: An energy efficient concept. Henri Fischer, Krones Inc.
4. Pretreatment of hop pellets before hop dosage into the brewing process. Yutaka Yamaguchi, Suntory Beer Ltd.
11. The importance of maintenance with respect to quality and sanitation. Dirk Loeffler, Loeffler Chemical Corp.
15. Ten things you need to know about your pumps. Todd Rausch, M.G. Newell Corp.
18. Behavior of hydrogen sulfide during late-stage fermentation using all malt wort. Hiroshi Nakamura, Suntory Beer Ltd.
25. Early detection and risk-based analysis of Lactobacillus and Pediococcus contamination enables preventive quality and environmental monitoring programs at the brewery. Kristen Kahle, Invisible Sentinel, Inc.
30. Safe boiler operations. Dave Baughman, Allied Boiler & Supply, Inc.
31. CO2 safety monitoring in breweries. Joshua Pringle, CO2 Meter, Inc.
37. The influence of the combination of malt and yeast on beer characteristics. Anna Shimmura, Suntory Beer Ltd.
49. Biogas energy applications that can reduce organic wastes and positively impact your brewery’s sustainability goals. Jeffrey Van Voorhis, Symbiont Science, Engineering and Construction, Inc.
50. 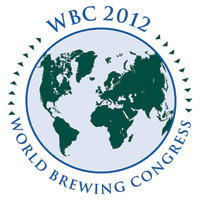 Practical primary water treatment for breweries. Michael Henk, U.S. Water Services, Inc.
57. The importance of cleanliness—An overview of CIP and COP systems. Aaron Sprowl, M.G. Newell Corp.
69. Weight reduction of paper-based 6-can and 24-can packages. Yusuke Aida, Kirin Company, Ltd.
70. Panel demographics: What makes a great panel? Sue Langstaff, FlavorActiV Ltd.
72. Identification and prediction of flaw, taint, and contamination causes using machine learning and artificial intelligence on sensory data and biochemical and metabolic pathway tracing. Zachary Bushman, Analytical Flavor Systems LLC. 73. Sustainable solution for packaging hall conveyer track lubrication. Flavio Reis, Sealed Air Corp.
77. Keg and valve safety. Mark Carpenter, Franke Beverage Systems, Inc.
Advanced Extract Options for Brewers. 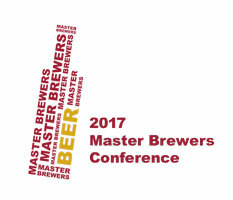 Brian Buffin, Kalsec, Inc.; Mike Babb, Kalsec, Inc.; Mark Schulze, Kalsec, Inc.; Joe Snyder, Kalsec, Inc.; Ross Turner, PureMalt Products, Ltd.; Ron Duszanskyj, PureMalt Products, Ltd.; Jonathan Davis, GLCC Co.
Beer Safety from Field to Growler. Tatiana Lorca, Ecolab Inc.
Workshop: Brewery Maintenance Success. Clay Bush, Stratum Consulting Partners, Inc. Maintenance Memory: 35 years at the Chico Brewery. Stephen Russell, Sierra Nevada Brewing Co.
Brewhouse Automation with BOTEC F1 Process Control System. Matthias Lichtenauer, Krones Inc.
Glass Containers. Brad Rush, Boston Beer Co.
What does scientific policy have to do with a pint? Joy Dubost, Beer Institute, Washington, D.C.